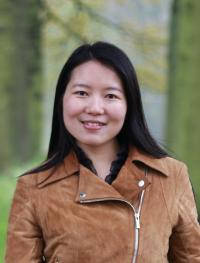 Caixia Liu MSc. has been working on her PhD research at the Human-Technology Interaction group at the Eindhoven University of Technology since 2011. Her research project focuses on evaluation of emotional facial expression recognition. The project is performed by training and testing generative machine learning algorithms on a corpus of human facial expressions yielding a suitable expression-space representation and behavioral experiments in which participants rate the realism of the expressions. This project is a collaboration with the Human-Technology Interaction group (HTI) of Eindhoven University of Technology (TU/e) and Tilburg center for Cognition and Communication group (TiCC) of Tilburg University (UvT).